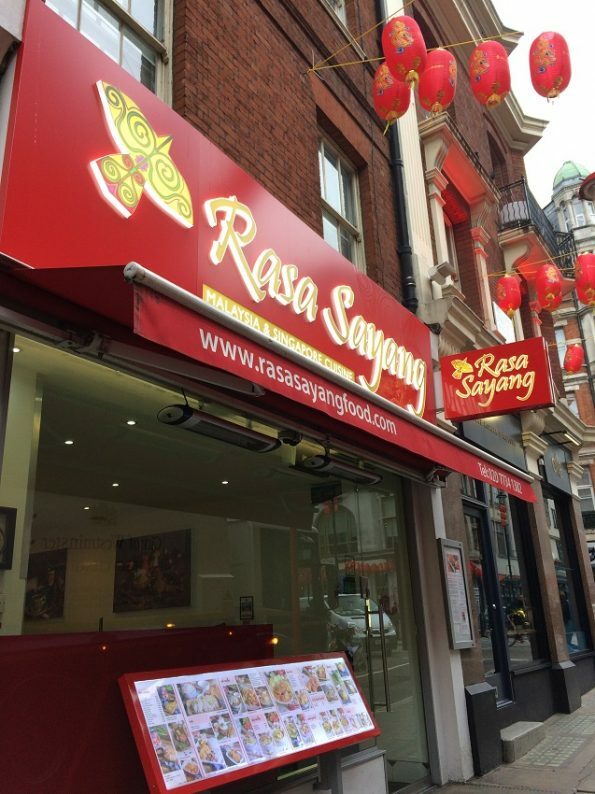 Rasa Sayang is a Malaysian Restaurant in Chinatown, London. It is located at 5 Macclesfield St, London W1D 6AY. 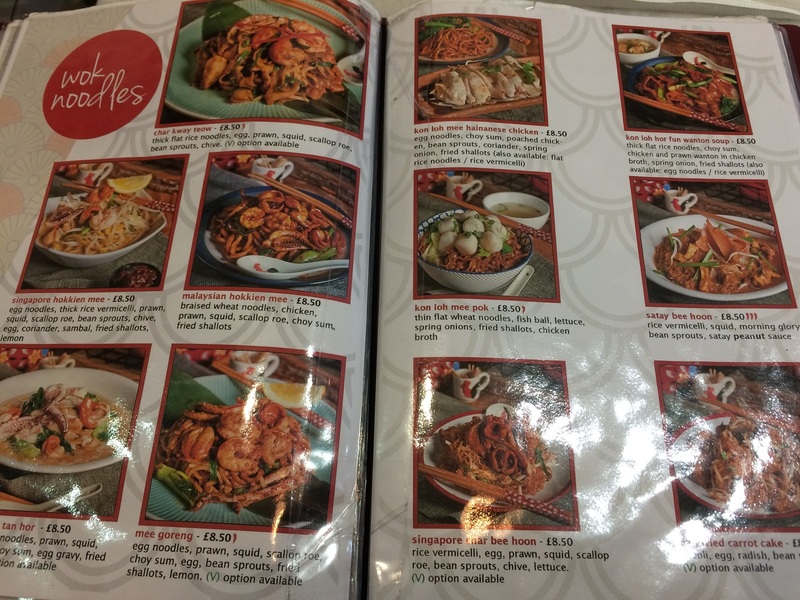 We went there last Saturday because I crave for Indonesian/similar food. Yes this is my order: Nasi Goreng Istimewa! 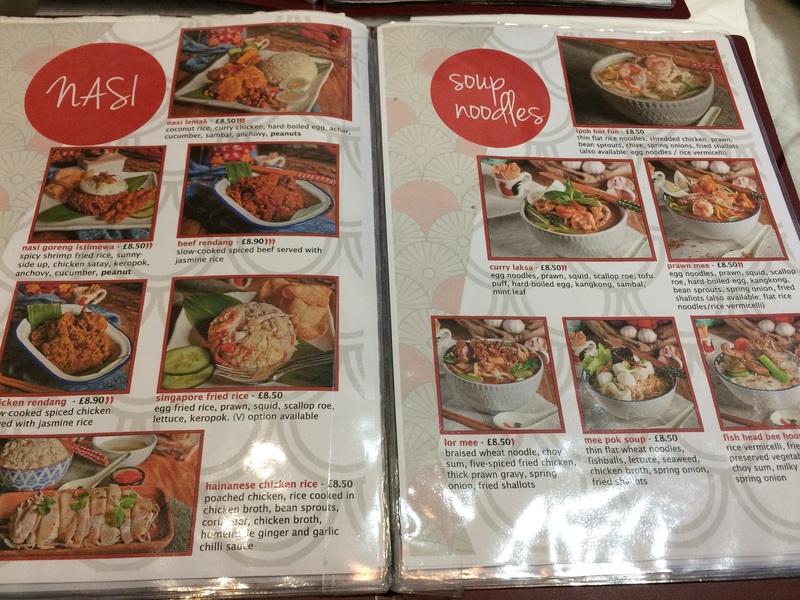 I love the Satay sauce! It is quite spicy. The rice is good too with a small portion of anchovies. 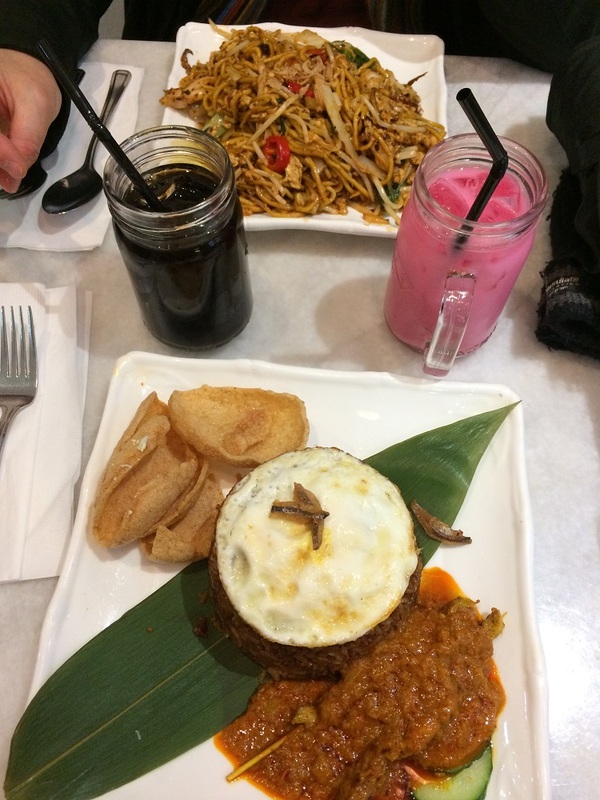 I think it is best to be described as Malaysian nasi goreng (not Indonesian one). 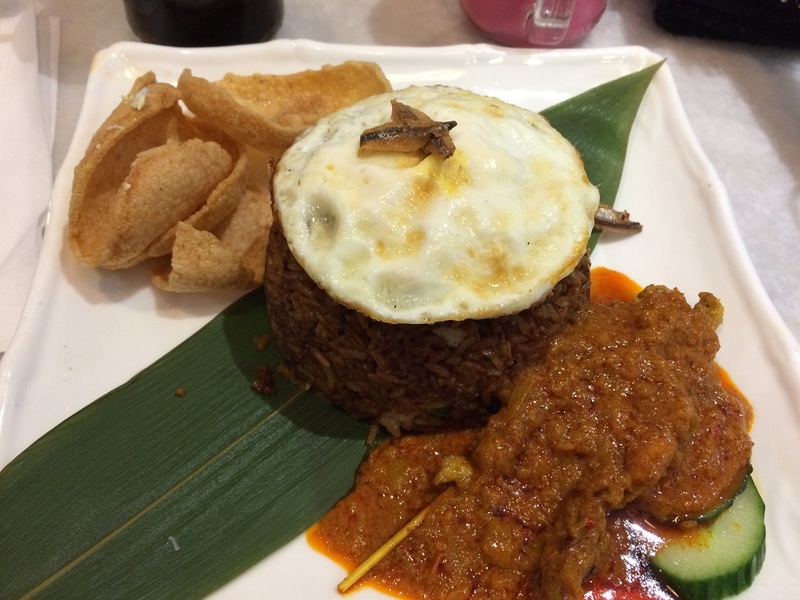 I crave for Indonesian abang-abang (street style) nasi goreng and this is the closest I can get. It is also served with prawn crackers though I believe the crackers are more like Thai crackers. My husband order is Mee Goreng, in which I find it yummy because it is served with squids and Tiger prawns. 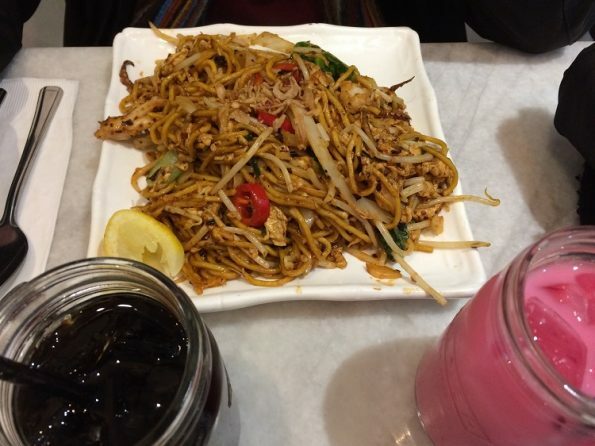 My husband says the same that the Mee Goreng is delicious. 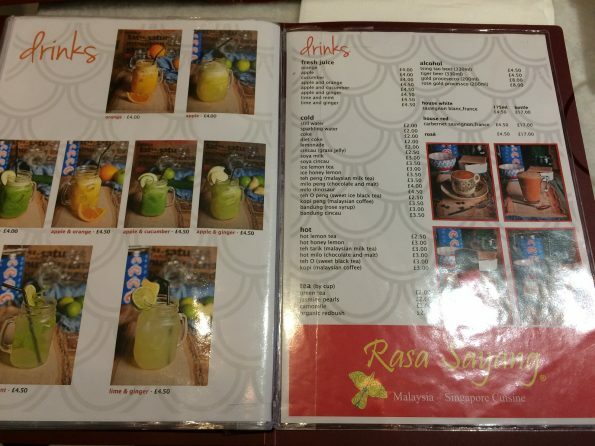 For drinks, I wanted to have some Indonesian/closer to Indonesian drinks, so I opted for Bandung Rose Syrup (pink rose syrup) and my husband had a Cincau (grass jelly). They are lovely, though I am not sure why they called ‘Bandung’ in the drink. There is nothing reminding me of Bandung when I had the syrup. 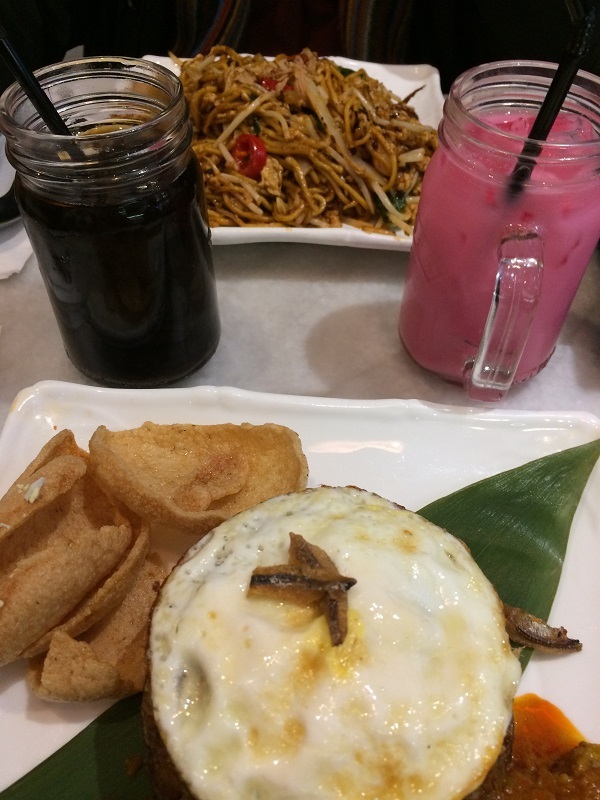 The Cincau though is more of a kind of Indonesian drink. Up and close with Cincau and Bandung Rose Syrup. 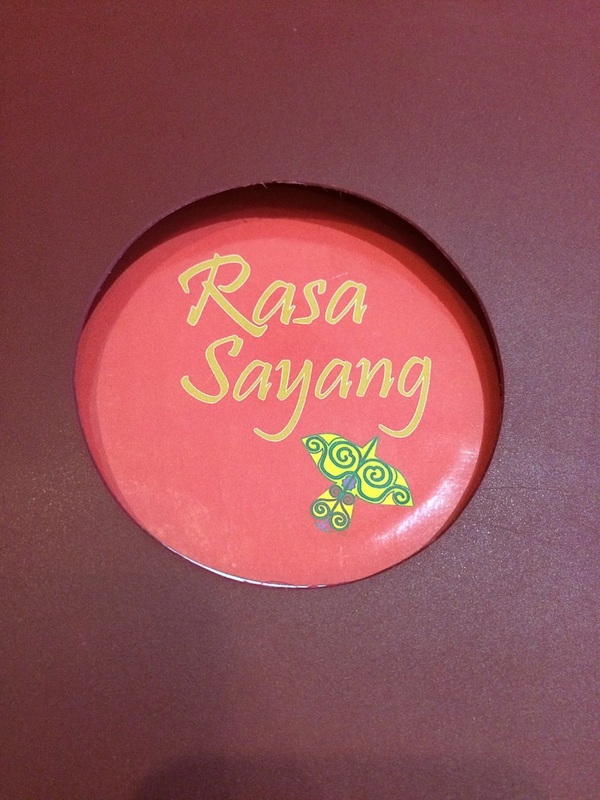 All in all, I do like Rasa Sayang and the next time I will be back for sure.